When it comes to taking an amazing photography I ask Kevin to capture what I am looking for. When he isn’t around, I either turn our Nikon to auto or pull out my cell phone. My pictures aren’t nearly as creative and need a lot of adjustments, so I have become best friends with photo editing. I can easily adjust my exposure, saturation, retouch a blemish, and etc. A couple weekends back, I attended the Build Your Blog Conference, put on by the Six Sisters. 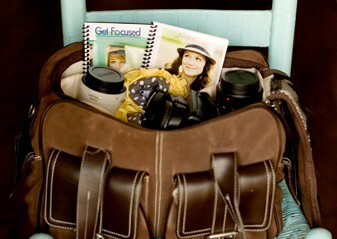 One of the classes was taught by Kristen Duke Photography. She taught all about how to take a great photography to avoid having to do massive photo edits to the image. She explained that with each photo edit you do on an image the quality and crispness goes down in quality on that image. I immediately thought – What?!?! Photo editing and I are best friends! How can I produce a quality image for my blog by myself (without Kevin and without massive photo edits)? Well, I am very excited to share that I now know how to say no to the auto setting on my camera. Kristen has put together a wonderful 17 page book, Say No To Auto, to teach you all you need to know about setting your ISO, aperture and shutter speed. The book, Say No to Auto, helps define all of the photography lingo that I didn’t know or understand, such as ISO, SLR, and etc. Kristen has made this book 4″ x 6″ in size so that it can easily fit in your camera bag to have it for reference, anywhere you are if you ever get stuck on a setting. It took me an hour one night, fidgeting with my Nikon and going through the book to learn to quit using the automatic setting, but I have done it! 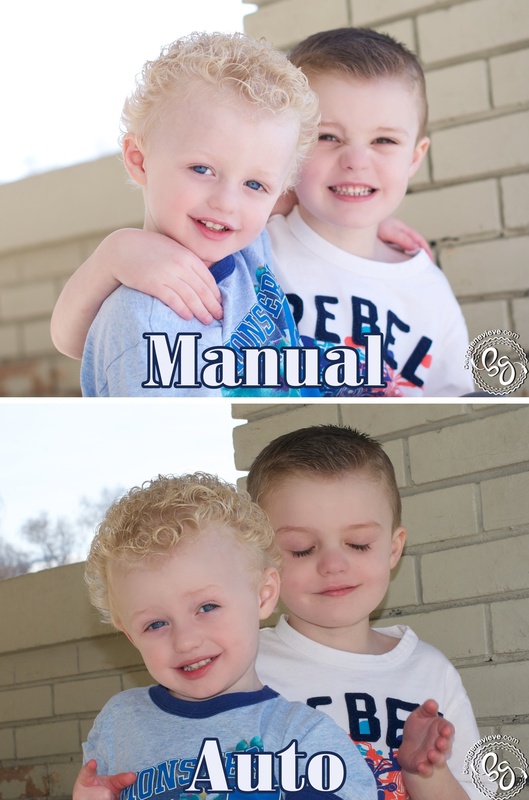 I am so excited to show you a few shots I took comparing the manual setting and the automatic setting. Note: Since I am a master at photo editing I promise that I didn’t do any adjustments to these shots such as, exposure, brightening, saturation and etc. Most of my images for my blog are taken at night once all the kids have gone down to bed. So my first comparison is done at night in our living room with very poor lighting. I did a manual setting where I adjusted the ISO, Aperture and Shutter Speed. I did a automatic setting and I did an automatic with the flash (to me the flash always creates a deer in headlights affect). Take a look and decide for yourself. . . Since it is winter outside and we do all of our activities inside this time of year, my second comparison is inside with the sun shining outside (we are more than 10 feet from the window). 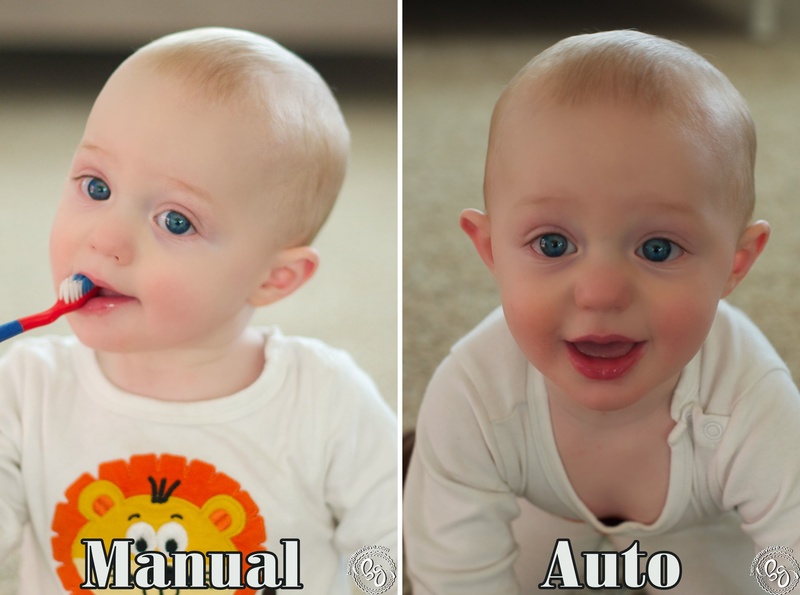 Note: The images aren’t identical because I was using my wiggly baby, but they were taken right after each other. Take a look . . .
My last comparison is outside on our front porch on a sunny day. We were all so excited for the wonderful weather yesterday, in the 50’s, so that we could play outside. The manual setting could have been better with the aperture, but I am still learning. Note: These images aren’t identical either because I was using two small children, but they were taken right after each other. See what you think . . . It is so exciting for me to know how to produce a quality image for myself. I can now take photos when Kevin is at work, instead having to wait until the evenings for him to take them for me. 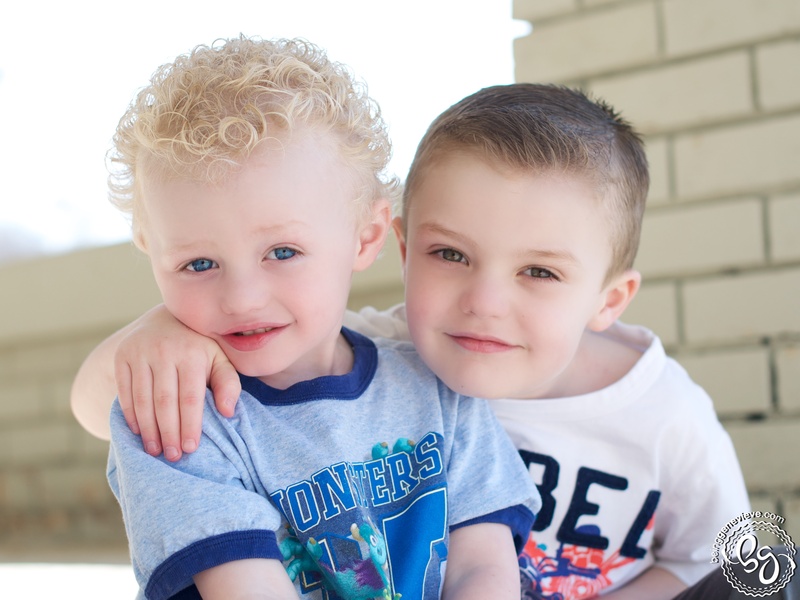 I can take pictures of the kids, during the day out in the sun, without it turning out too dark or with a sun glare. I can now really appreciate a well taken image when I see one. 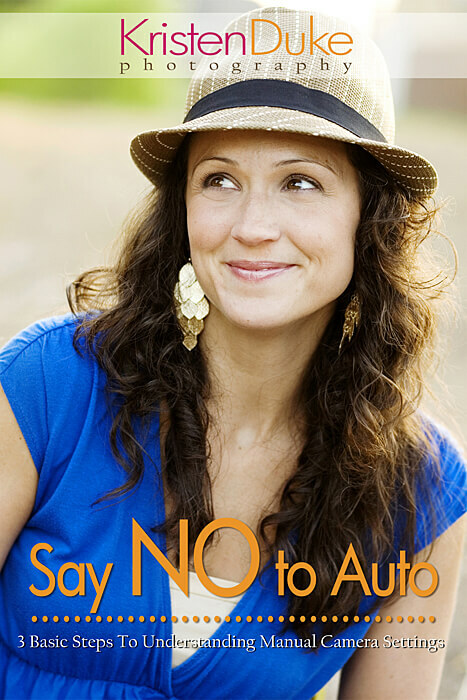 If you are interested in learning the art of photography for yourself, check out Kristen Duke Photography to purchase your copy of Say No To Auto. I promise it is well work the money, only costing $10.